Man. I hate to be that guy who corrects you guys. I dont want to do this. But after listening to the Suicide Squad cast and hearing World War 1 like three times I just couldn't handle it anymore being a history buff. 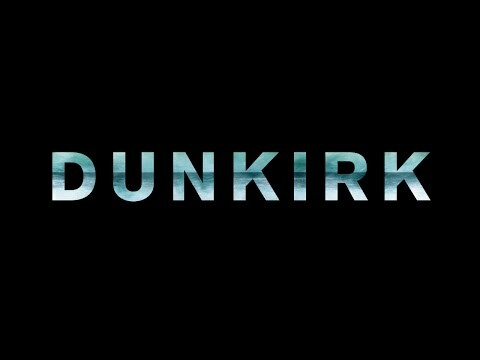 Dunkirk is set in 1940 World War 2. The BEF (British Expeditionary Force) is reeling after Germany swept into Northern France and routed the French and British forces. (spoilers i guess) The "Miracle of Dunkirk" is how the BEF was saved from capture/destruction. I could see maybe the helmets throwing the guys off. The helmets are very World War 1ish. To someone who doesn't follow World Wars closely and never heard of Dunkirk I could see them thinking World War 1 just based on those helmets. Yeah, it was totally the helmets, plus I couldn't figure out if the guys were on a bridge, boat or in a trench. The latter of which is a dead WWI giveaway. Sorry I got it wrong! History undergrad / WWII nerd here. Can't wait for the movie. Listening to the 'Suicide Squad' cast now. Jim and A_Ron are forgiven. They are still my favorite internet disembodied voice personalities. Stuka attacks must have been TERRIFYING!! I'm glad that's cleared up because originally I thought I'd read it was a WW2 film, but then the trailer had those helmets that reminded me of WW1 and then I heard the Suicie Squad podcast and thought I must have been wrong. Go figure. It's the second guy to turn around, over toward the right: (I tried to link directly to 35 seconds in, but it got formatted or whatnot by the forum software to start from the beginning). Haven't heard anything about a remake. Seems to be a Nolan original. Could be wrong though. I was a big fan of Midway, Longest Day, Bridge too Far. All excellent movies. Might have been later than the 50s though. I love The Great Escape, Bridge On The River Kwai, The Best Years Of Our Lives, that one about Douglas Bader, etc. I haven't seen any of them for years but I watched them a ton 20+ years ago. What's the one with the bombs skipping over the water? That was a good one, too. All of those were good as well. Dam Busters is probably what you're thinking of. Dirty Dozen is obviously a classic as well. I think this confusion illustrates just how unprepared the British were for war that lead to the events of Dunkirk. They're equipped with much of the same type of kit from a war era that's over twenty years old. I was going to bag on still carrying bolt action rifles but most armies then still did. Also US has stuck the same main battle rifle since Vietnam so it's not unusual in military history. At least they were doing better than the French at the beginning of World War I with their bright red pants, no helmets, marching in formation towards machine guns and trying to use horse cavalry against those same machine guns. To be fair conscripting and equipping millions of men to fight off a millions strong German army invading would be challenging especially if they're total civilians with no experience in modern warfare. I mean if that same German army invaded US in 1914 would the govt even have enough rifles in inventory to defend itself? Would an Iowa farm boy even know what a machine gun looked like let alone what it could do? The point was more that the French (and a lot of others) had no idea how the technology had changed the way engagements should happen. The French lost thousands of people immediately because of that. What's perverse about WW1 is just how brutal the technology was compared with its countermeasures. Even two years in we are still seeing mass infantry attacks at against entreched positions like the Battle of the Somme where the British lose 20k men in a day. The route was a mix of everything. 1. German mechanized and Motorized divisions were revolutionary. It was a perfect union of infantry, armor, support, speed, power, etc. 2. The Strategy to Attack France north of the Maginot line through The Low Countries allowed the Germans to speed through France with little resistance. 3. The British and French armies were not equipped with the proper weaponry to deal with German's mechanized units Nor did they really want to fight a war anyways. 4. British and French leadership were already beat before they knew what to do. Retreat or surrender was the only answer. Germany also properly executed the use of air superiority and ground support. which was still very much in its infancy. @Hatorian I'm not reading anymore of this thread because I hate history more than I hate Christopher Nolan, but I still have to put my two cents in: you should totally change your signature from "No Half Measures...." to "World War 2 is what I do"
...but, attempted to complete the victory primarily through air power, thus, allowing the BEF to escape. Actually the Germans had the ground forces to destroy the British army. its still an argument among historians today why they did not follow up their success and let the army escape.